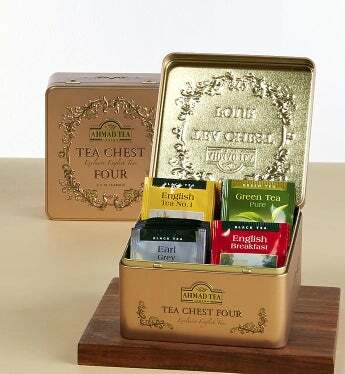 This beautifully embossed rose gold metal tea chest is from a 4th generation British tea company and holds a quartet of teas that will be treasured long after the last infusion. They'll enjoy 40 foil enveloped teabags in these popular classic black teas: English Breakfast, Darjeeling, Earl Grey and English Tea No.1. 10 teabags of each flavor.